Making distilled Rosewater is easier than I ever thought. I have rose bushes all over my yard, so getting rose petals was the easy part. Add rose petals to the water, but make sure not to have the waterline above the brick. After the water has all boiled dry, turn off the heat and let it cool. Be careful of the steam! 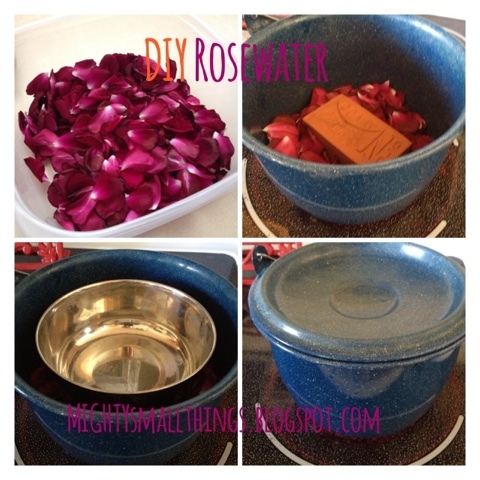 What collects in the bowl is distilled rose water! You can also do this with a variety of flowers and herbs!